Here at the Gurn we believe the current situation with parking charges in the Angus towns (introduced at the start of November) is a good indication of how things will pan out in Nairn if Highland Council go ahead and impose parking charges on us. It's a parallel universe that awaits us next year. Here's a close up of what the posters say. 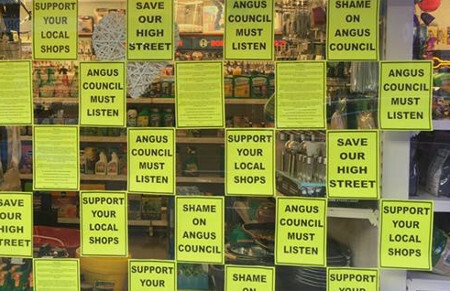 Angus Council must listen, yeah Angus Council don't give a crap just like Highland Council.